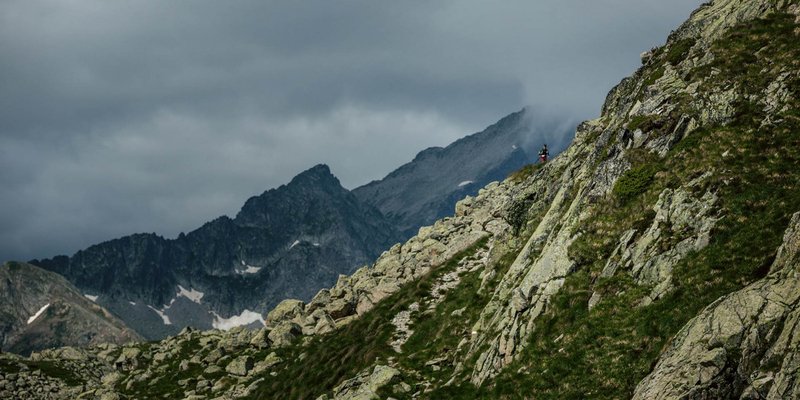 2016 Skyrunning World Championships are open! The 2016 Skyrunning World Championships head to the Spanish Pyrenees, home to the world’s top skyrunners and the sport’s greatest following. Here, from July 22-24, world titles and medals will be awarded, crowning the champions of the Ultra, Sky and Vertical disciplines together with combined titles and country ranking. The ISF is pleased to announce slots and athletes’ benefits available in all the races, including free entry, accommodation and travel subsidies. (For details see below). Twenty-seven glittering medals and a €20,000 prize purse await the champions of these prestigious competitions. Eighteen medals and individual world titles are at stake in the three disciplines, and a further six for the combined titles based on the best results of the Vertical and Sky. Three medals will be awarded to national teams based on the best results of three men and one woman across the disciplines. The BUFF® EPIC TRAIL105KM, with a gruelling 8,000m elevation gain and a maximum gradient of 56%, is as tough as they come. Strict qualification standards will be enforced for participants, which are capped at 250. The rugged BUFF® EPIC TRAIL 42KM is a point to point with 3,200m positive vertical climb. Again, a highly challenging extremely technical race with a nine-hour time limit capped at 500. For the short and steep specialists, the BUFF® EPIC TRAIL VK is 4.7 km long with 1,380m positive climb. The average incline is 30.7% and reaches a mean 50.4% at the steepest point. It is capped at 250. Racing on home ground no doubt the Spanish athletes will shine, but stiff competition will be coming from other countries across the world. Spain excelled in the 2014 Skyrunning World Championships held in Chamonix, taking the silver and Spaniard Luis Alberto Hernando took the Ultra title. Kilian Jornet took triple titles: VK, Sky and combined, while Laura Orguè took the VK title. Sweden’s Emelie Forsberg is the reigning Ultra Champion, Italian Elisa Desco, Sky and American Stevie Kremer owns the combined title. WADA anti-doping tests will be carried out at the Championships managed by FEDME, the Spanish Mountain Sports Federation and ISF member for Spain. The magnificent Vall de Boí, a UNESCO World Heritage Site, will host the skyrunning calendar’s most prestigious event, after the highly successful 2012 SkyGames held here. The countdown has now begun for the 2016 Skyrunning World Championships, where skyrunners from around the world will gather to celebrate their passion for this unique sport. Eighteen medals and individual world titles are at stake in the three disciplines, and a further six for the combined titles based on the best results of the Vertical and Sky. Three medals will be awarded to national teams based on the best results of three men and one woman across the disciplines. Spain excelled 2014 Skyrunning World Championships held in Chamonix, taking the silver, and Spaniards Luis Alberto Hernando took the Ultra title. Kilian Jornet took triple titles: VK, Sky and combined, while Laura Orguè took the VK title. Sweden’s Emelie Forsberg is the reigning Ultra Champion, Italian Elisa Desco, Sky and American Stevie Kremer owns the combined title. The magnificent Vall de Boi, surrounded by 3,000m peaks and a UNESCO World Heritage Site, will host the skyrunning calendar’s most prestigious event, after the highly successful 2012 SkyGames held here. ISF Member countries and countries wishing to participate should submit the Team Entry Form .